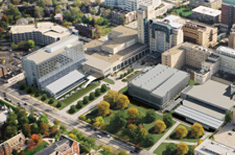 As part of a system-wide Facilities Master Plan, University Hospitals engaged Array to provide programming and planning services to address the need for a new Cancer Hospital to centralize the various cancer care components that were dispersed throughout their four block campus in downtown Cleveland, OH. Designed with clear exterior and interior circulation paths, the building improves spatial orientation for oncology patients under high levels of stress. Care areas are organized to treat specific patient populations. 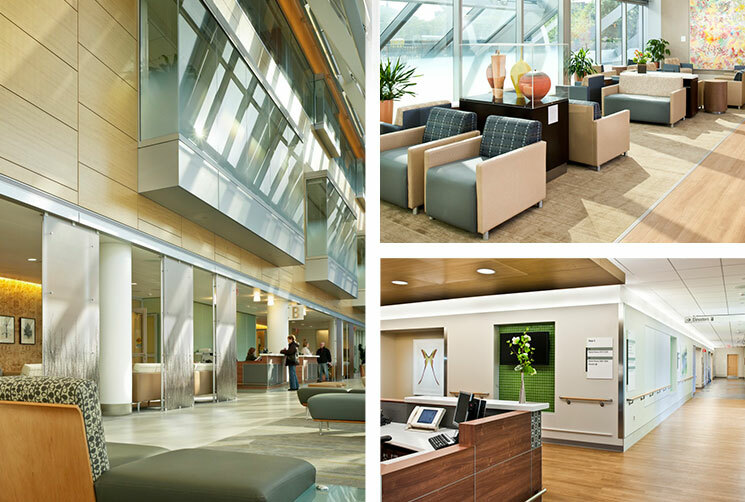 Well-conceived floor plans and attention to detail in the clinical zones afford efficient, optimal work environments for caregivers. 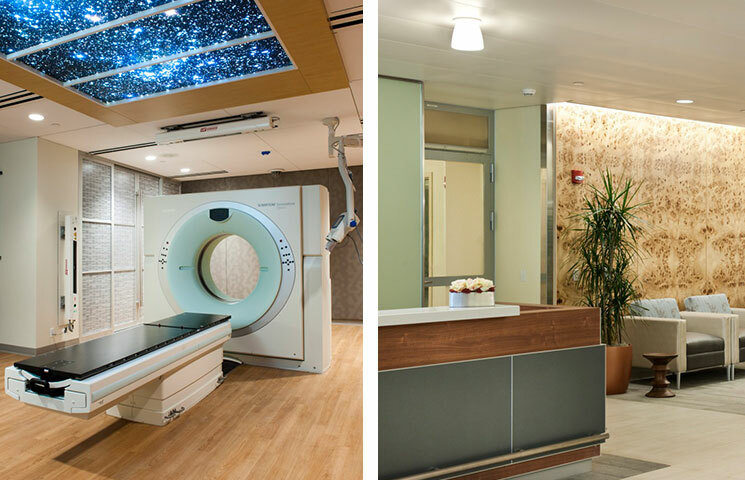 The facility incorporates space for clinical trials, diagnostics, outpatient and inpatient treatment, surgery, patient education programs, radiation oncology, infusion therapy and teaching space. Careful selection of colors and finishes contribute to a calming, quiet and healing environment. 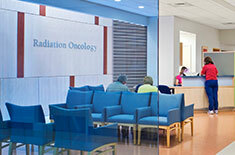 The 370,000 SF UH Cancer Hospital is home to the latest treatment protocols and the most advanced diagnostic, therapeutic and information technologies and combines all ambulatory, diagnostic/treatment and inpatient services in one building. The 120 private inpatient rooms are sized and designed to promote a family-centered model of care with provision for overnight guest stays. 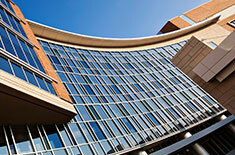 Immediately upon entering, one recognizes they have arrived at a world-class Cancer Center. 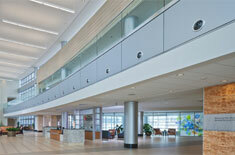 The soaring, light-filled lobby and atrium lift the spirits of patients and visitors. The diverse art collection, healing gardens and water features engage patients and caregivers.